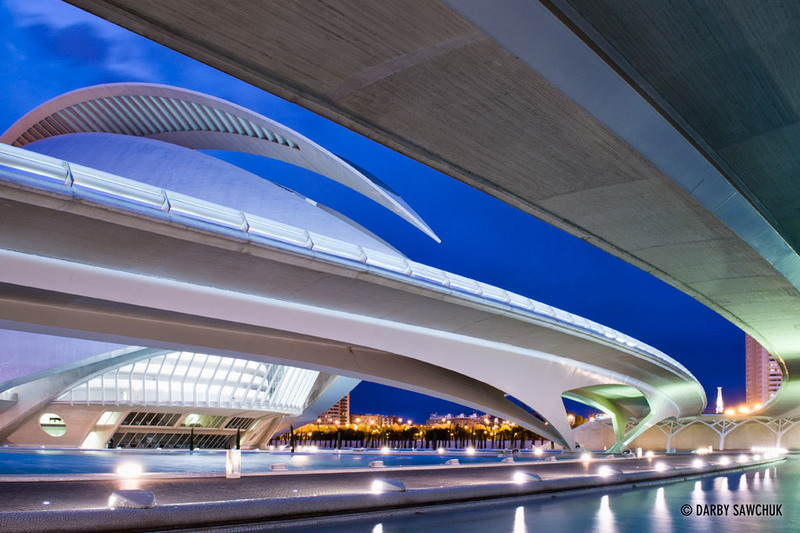 The City of Arts and Sciences is a culture and entertainment centre in Valencia, Spain. 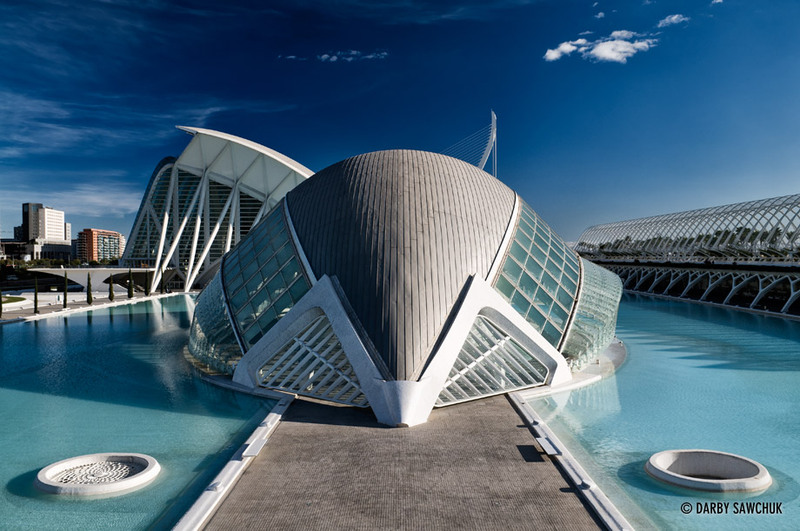 Designed by Santiago Calatrava, it is a haven of grand, unique architecture that lets visitors feel as though they have wondered into the future. See more of my photos of Spain here. 01. 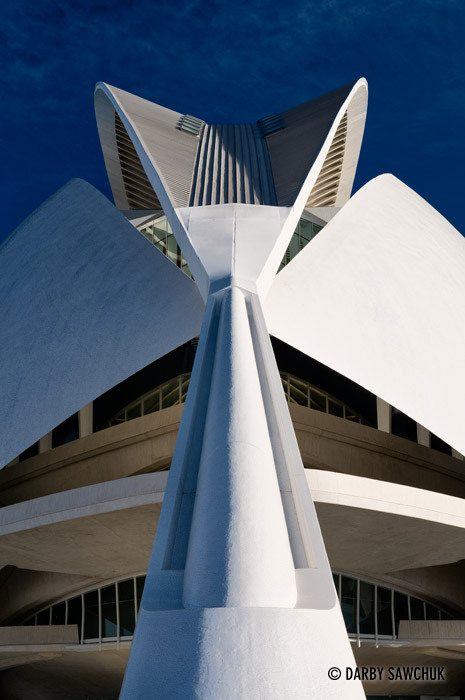 El Palau de les Arts Reina Sofia, an opera hall at the City of Arts and Sciences in Valencia, Spain. 02. Arcades supporting El Museu de les Ciències Príncipe Felipe in the City of Arts ad Sciences. 03. 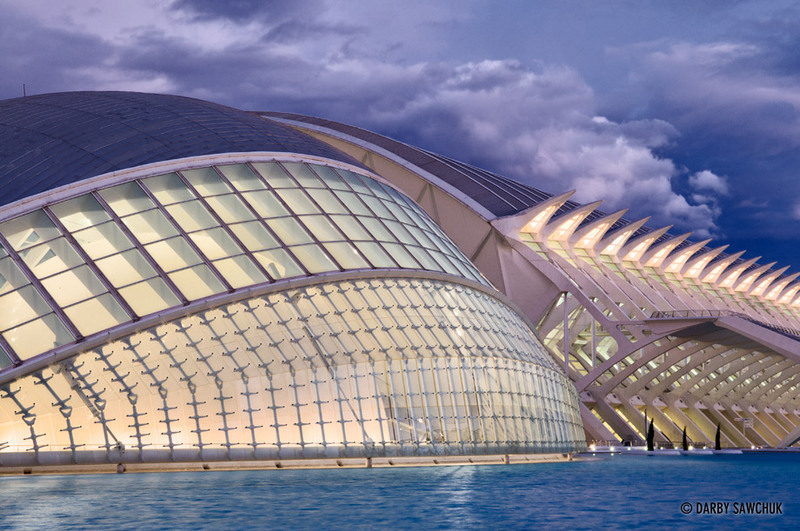 L’Hemisfèric, an IMAX cinema and planetarium at the City of Arts and Sciences in Valencia, Spain. 04. 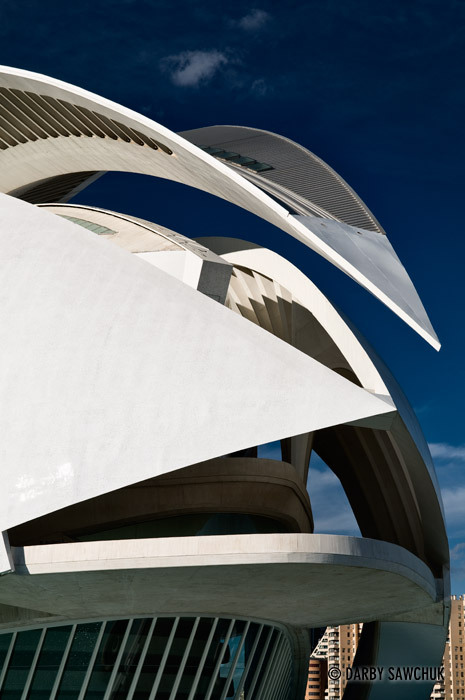 A detail shot of L’Hemisfèric, an IMAX cinema and planetarium at the City of Arts and Sciences in Valencia, Spain. 05. El Museu de les Ciències Príncipe Felipe on the left and L’Hemisfèric on the right at the City of Arts and Sciences in Valencia, Spain. 06. Abstract shapes of the Museu de les Ciències Príncipe Felipe (a.k.a. 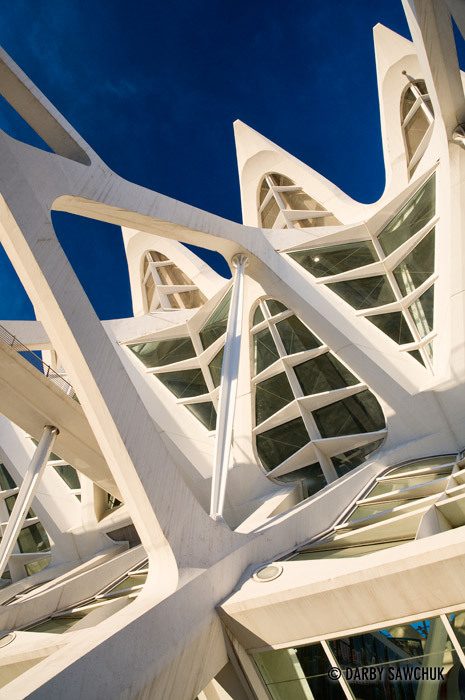 the Príncipe Felipe Science Museum) at Valencia’s City of Arts and Sciences. 07. 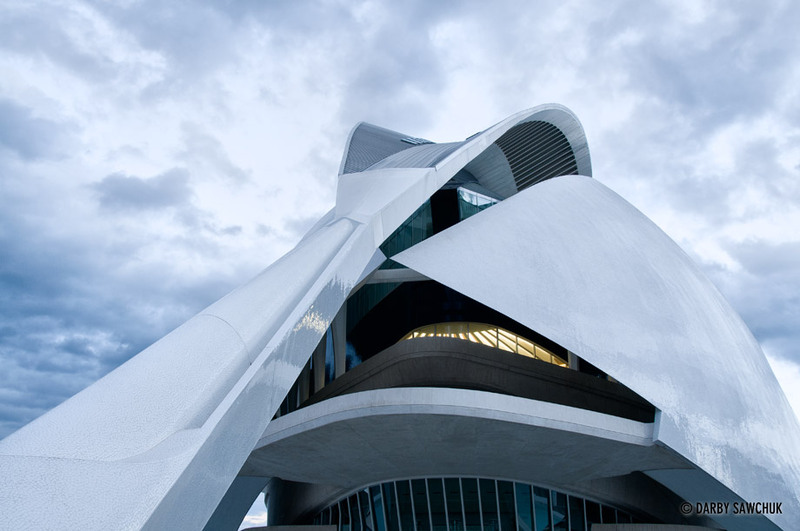 El Palau de les Arts Reina Sofia, an opera hall at the City of Arts and Sciences in Valencia, Spain. 08. 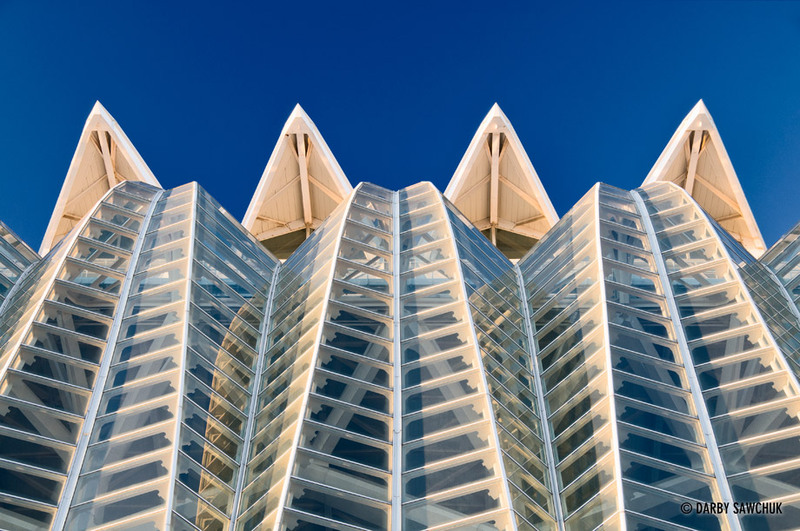 Organic, abstract spines and ribs of the top of El Museu de les Ciències Príncipe Felipe at the City of Arts and Sciences in Valencia, Spain. 09. El Museu de les Ciències Príncipe Felipe at night at the City of Arts and Sciences in Valencia, Spain. 10. 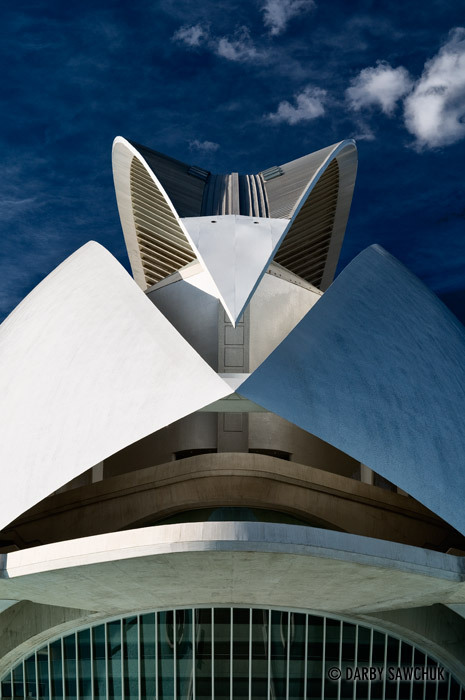 El Palau de les Arts Reina Sofia, an opera hall at the City of Arts and Sciences in Valencia, Spain. 11. 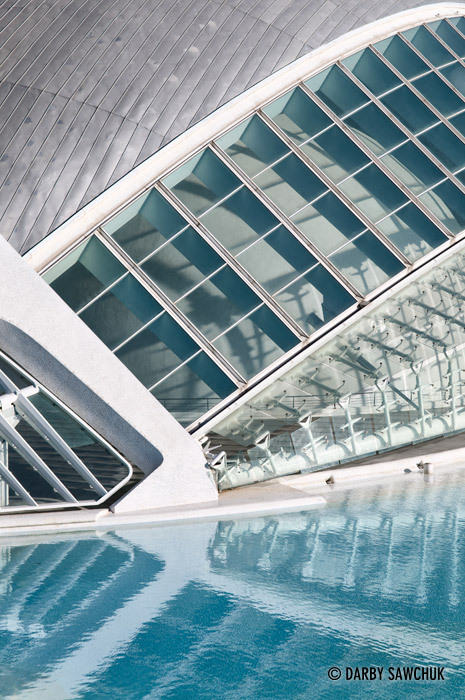 The City of Arts and Sciences in Valencia, Spain. 12. 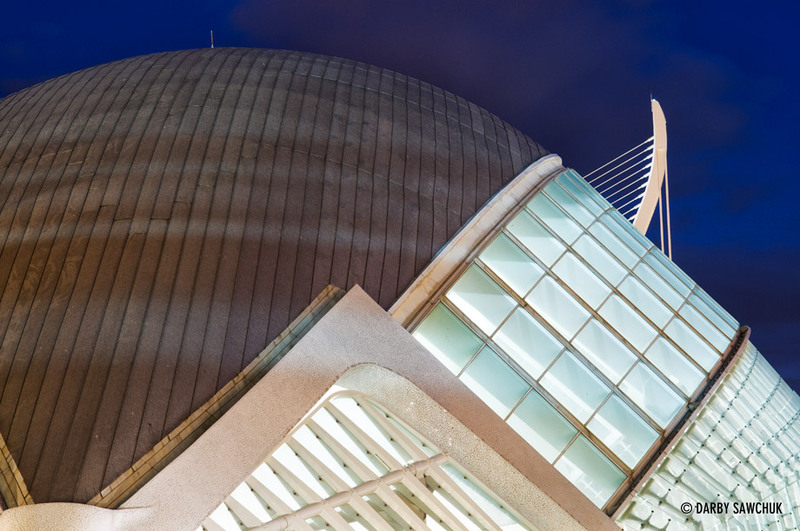 A detail shot of L’Hemisfèric, an IMAX cinema and planetarium at the City of Arts and Sciences in Valencia, Spain. 13. 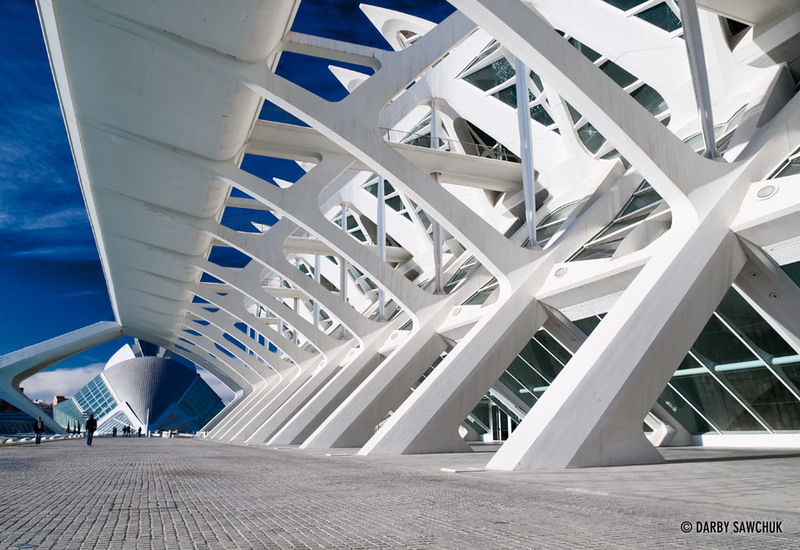 Curved bridges arc in front of the opera house at the City of Arts and Sciences in Valencia Spain. 14. 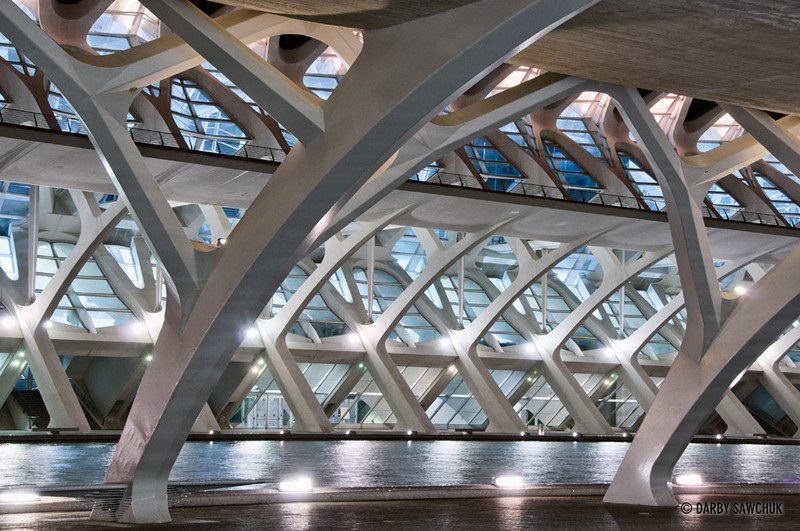 Clouds gather in the evening at the City of Arts and Sciences in Valencia Spain. 15. 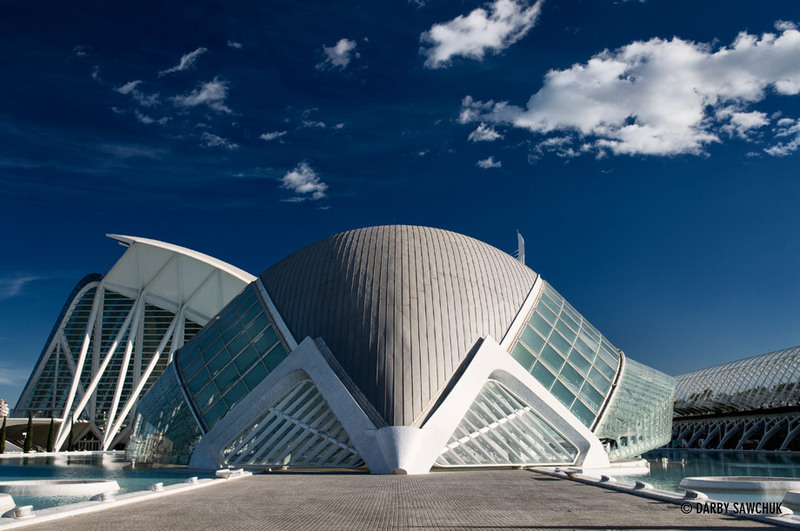 The opera house at the City of Arts and Sciences in Valencia Spain. 16. 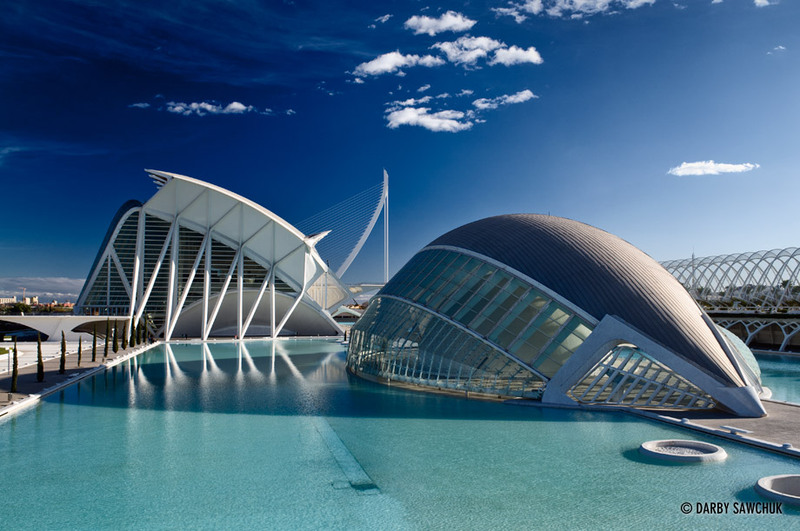 L’Hemisfèric, an IMAX cinema and planetarium at the City of Arts and Sciences in Valencia, Spain. 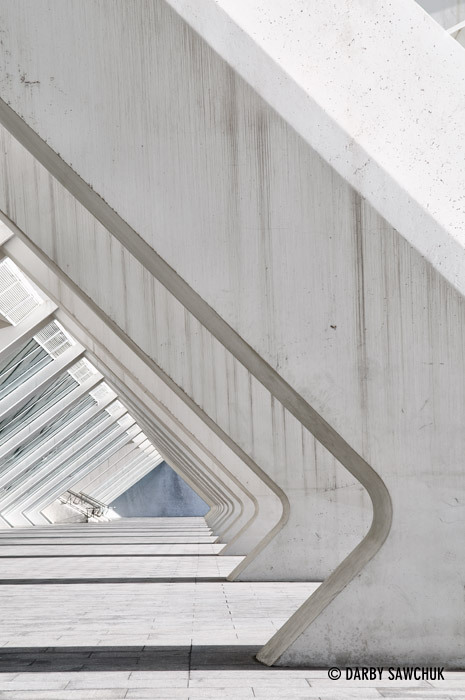 Keywords: photos of the city of arts and sciences, images of the city of arts and sciences, pictures of the city of arts and sciences, architectural photography, travel photography, fine art prints, stock photography.